A moulding die with two handles, used by Wackett and later by Wigram to mould fly bodies using thermo-plastic material. 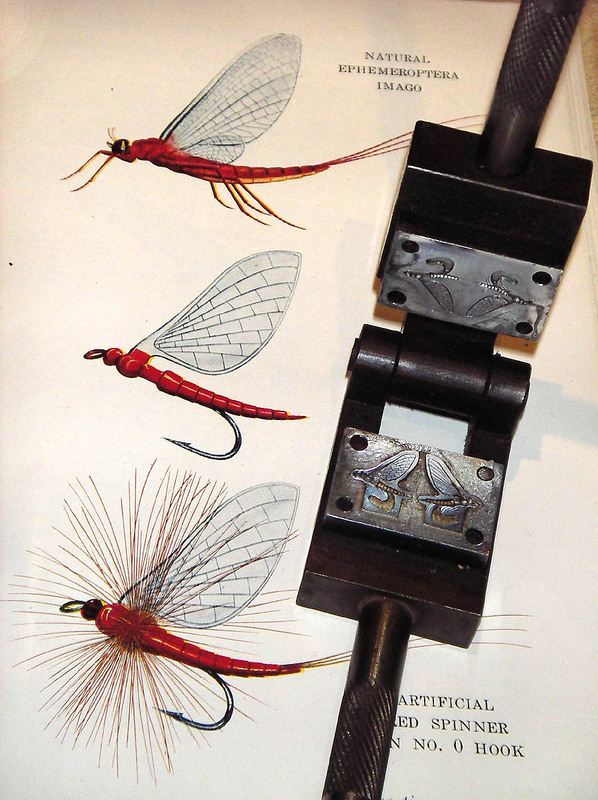 Wackett gives a detailed description of the use of this item in his book “Studies of an Angler”, published 1950. Wackett was an innovator and had fly moulds made – by Dan McDonald from an alloy called kirksite. A wax mould was made first – then a brass template and then the shape was engraved into the block. There were four or five different moulds.